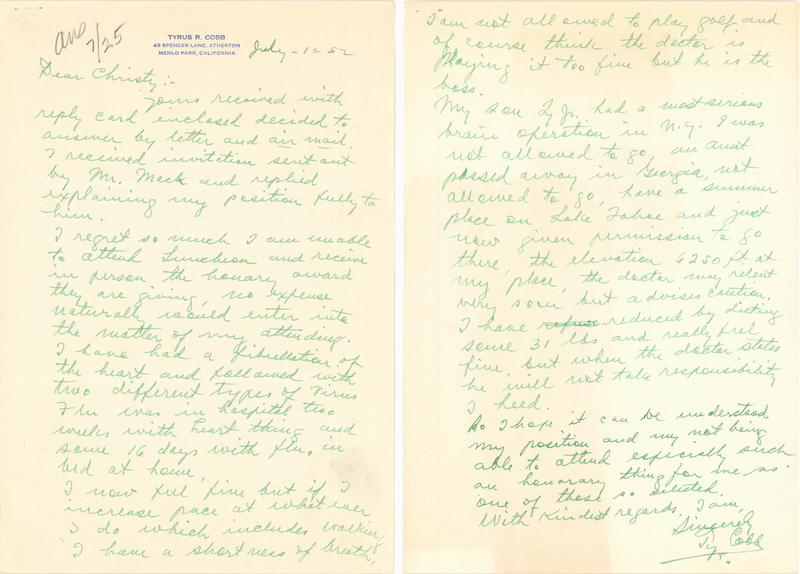 Offered here is a handwritten 2-page letter written by Hall of Famer Ty Cobb to “Christy” (which could have been famed promoter Christy Walsh) dated July 1, 1951. 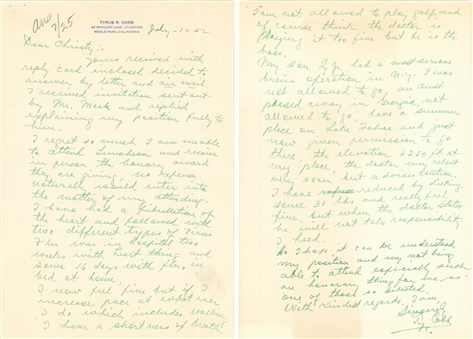 The letter has been penned in green and the first page has “TYRUS R. COBB 48 SPENCER LANE, ATHERNTON MENLO PARK, CALIFORNIA stamped in blue at the top. The two second page does not have the Ty Cobb stamping. This letter goes into detail pertaining to Cobb’s heart condition, which he used this letter to decline an invitation to receive an award. Cobb’s signature is in bold green ink to close the letter. 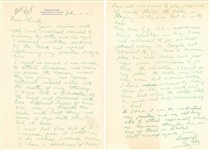 The letter itself is in good condition, displaying only minor toning and having the fold marks consistent with being placed in an envelope and staple holes on the top left corner of each page. Also handwritten in pencil is the notation “ans 7/25”. A wonderful artifact from one of the best baseball players of all-time. 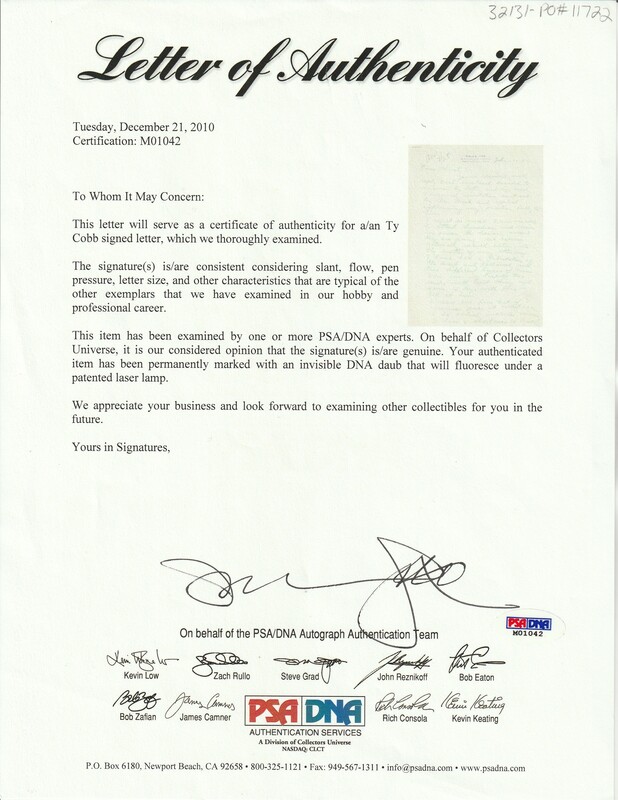 This letter comes with a LOA from PSA/DNA (M01042), who have authenticated Cobb’s signature.